Show that your company is a serious player on the market. 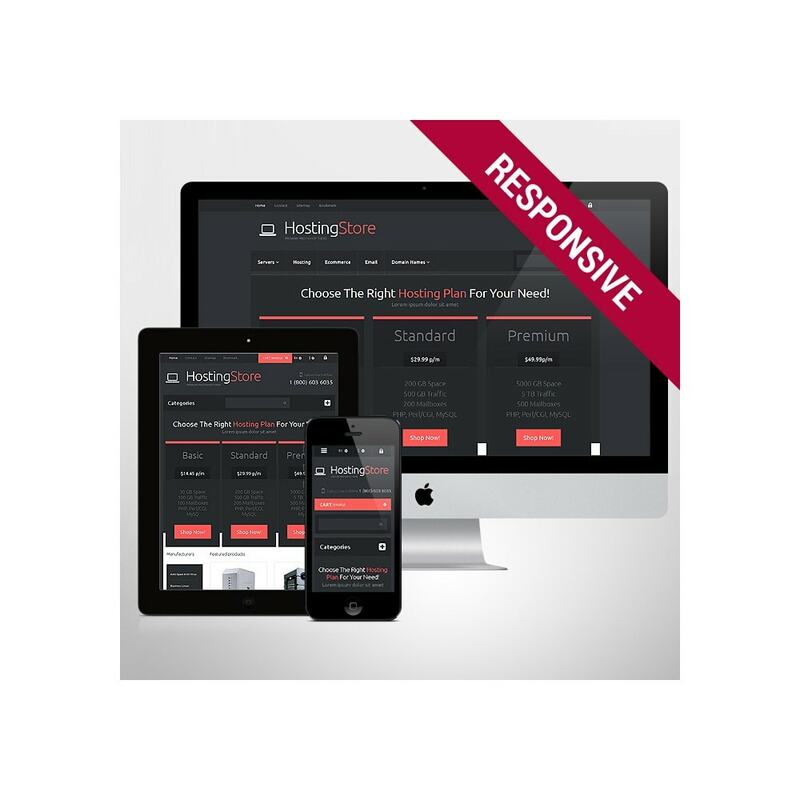 Launch a website that will look solid and professional, just like our template. 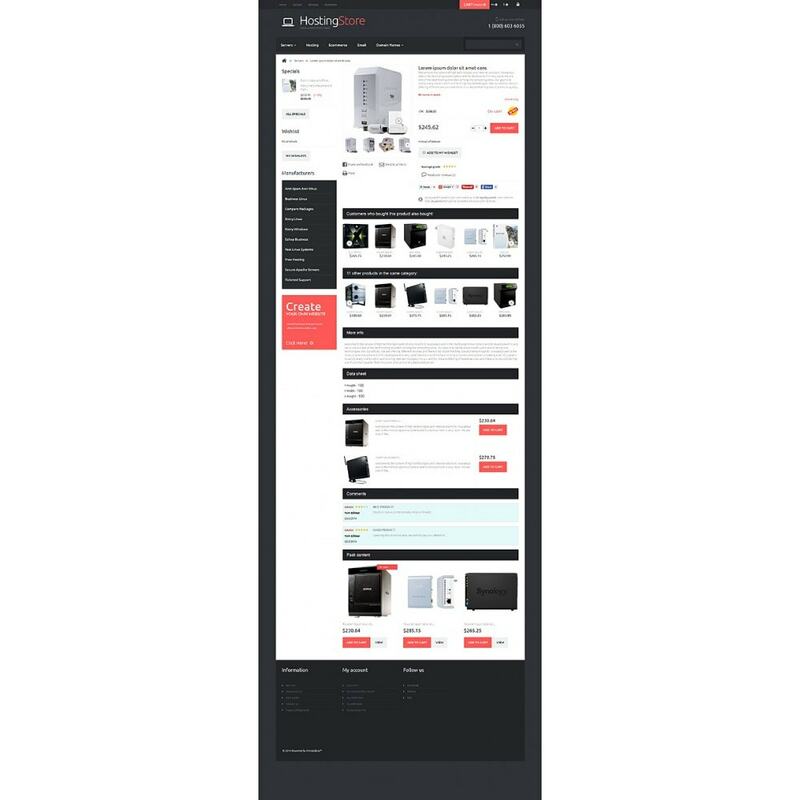 The black background imparts an expensive look to the layout. The customers understand that here they will obtain the services of the highest quality. 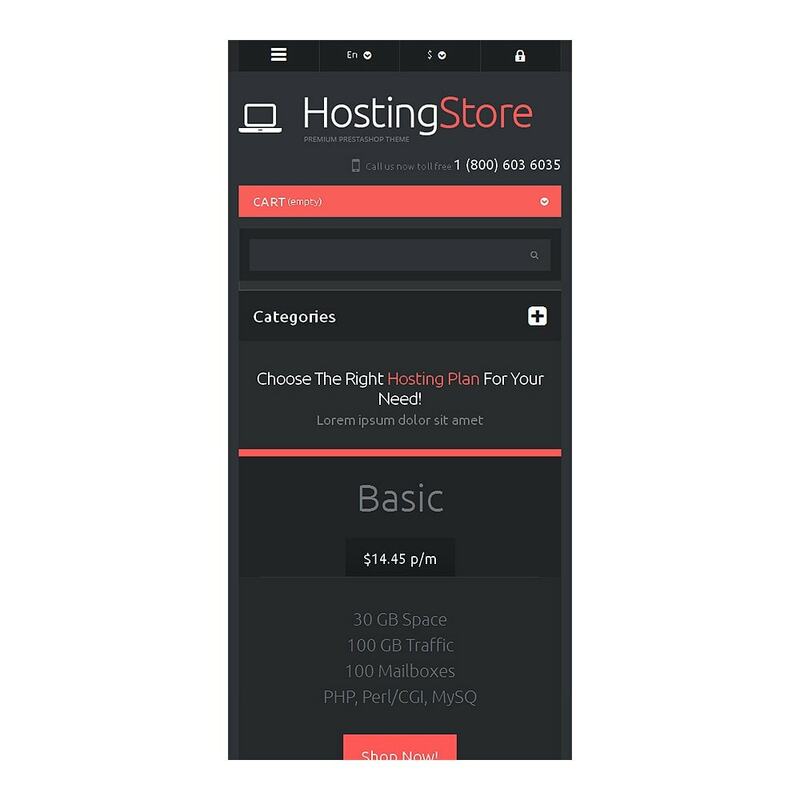 Three hosting plans work to company benefit raising clients' trust. When the number of offers is limited, the information seems less confusing, especially to the users not too keen on the matter. 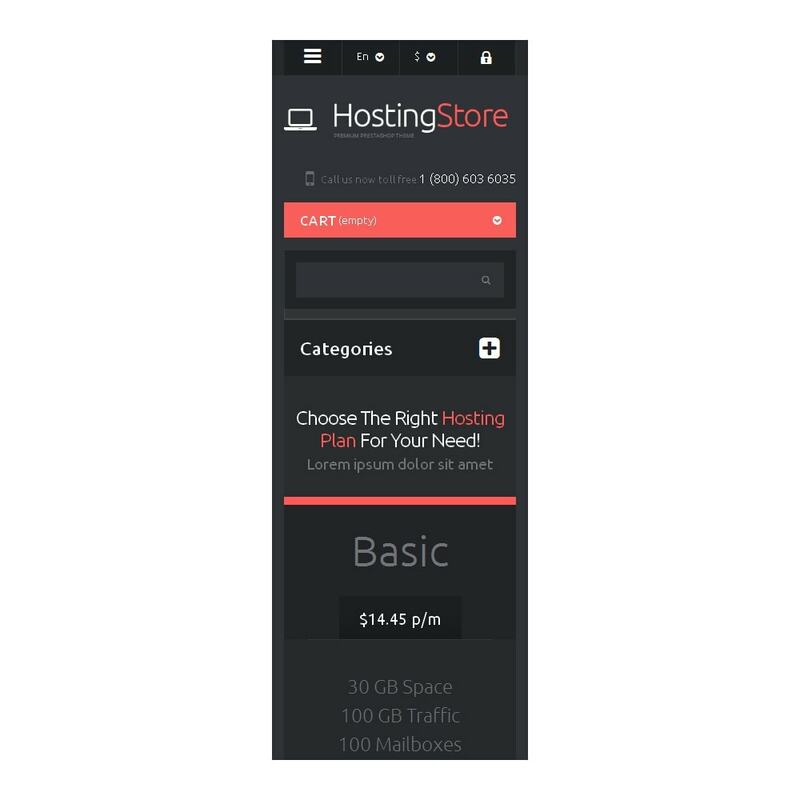 The navigation is accessible from the main menu bar, sidebar and footer. 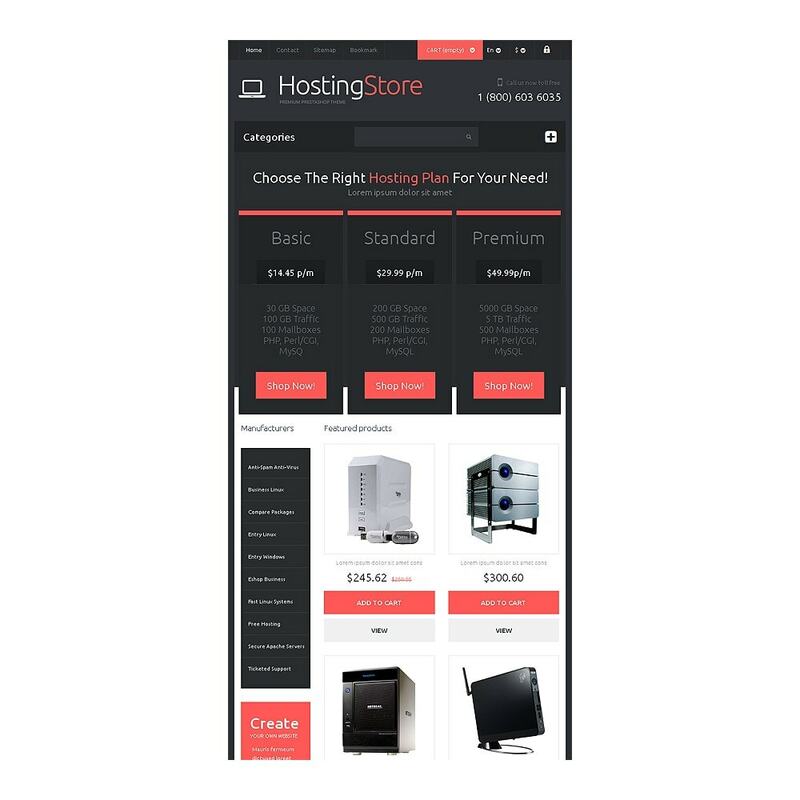 So, it will be easy for the visitor to browse through website pages. Loo at the featured products, they are placed over the white background, which looks rather appealing. In a word, the template has all components for your success. Buy it and start to get profit. 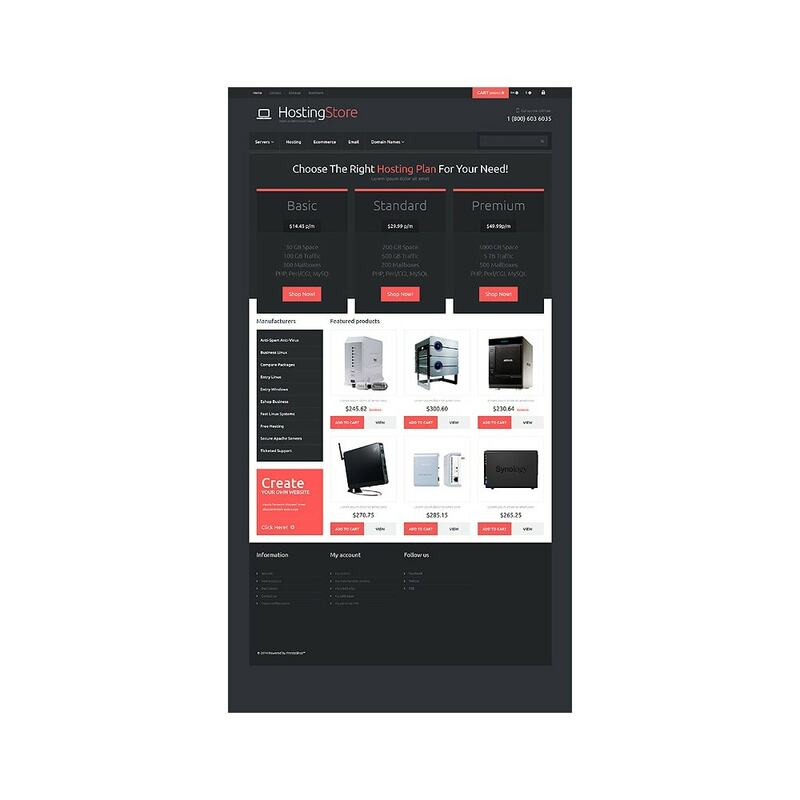 Use this template for online hosting, computer, and digital hardware stores.